Actually my 500th blog post was yesterday, but who’s counting! Everything is perfect just exactly as it is. 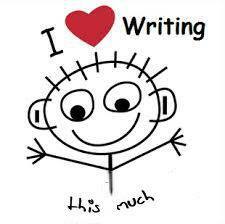 At this blogging milestone I wonder about why I write and I think it distils down to this: I love words. It really is that simple and it really is a love. OK, as an accountant turned coach I always loved (and still love) numbers but my first love, way before the delicious logic of maths, was words. As a child and later a teenager up in my bedroom in the school holidays, decades before electronic geekery was the first route to entertain oneself, I would get lost in words of the authors whose books inspired me then. Susan Coolidge. Agatha Christie. It’s the magic of escape into another world. Without losing consciousness, you can definitely lose awareness of your ego self, your physical body, your problems and your surroundings. You go into a trance, in a good way, employing your imagination. It is similar for me in the cinema, the escape into the big dark where the cares and concerns of everyday life disappear for a while. Both are uniquely relaxing and mostly non toxic. But it’s not just fiction. I can admire the way a writer puts together an exquisite combination of words. Or the way they express their personality in their writing like some of my younger blogger clients are doing now. In yer face. Unrepentant. I love that and envy their bravery. I write to communicate and to use some of my favourite words. I love to pull just the right word out of my mental lexicon and sometimes it frustrating to know one has just the perfect word in there somewhere but be unable to recall it when needed. This happens more with age and mainly when speaking, not writing. I like language too and the way that words pass in and out of favour and are invented and so quickly adopted and how precisely the right word brings a satisfaction that you have been able to express yourself with precision. I used to think it was books, but I discover that efficiency is more important to me than the so-called magic of the physical book and I have gone entirely digital with no looking back because, for me, it is the words themselves and not the format they come in which is vital. It’s what’s written in a book and where it can transport me that I love. Who puts words together well? Barbara Kingsolver. Bill Bryson. Khaled Hosseini. Anne Lamott. This is distinct from telling a good story which they all do well, it goes without saying. Who writes your favourite boos? And what are your favourite words? I’ve signed up with this tool the other day: favoritewords.com, I Like it very much and I think you should check it out and add your favorite words there.